I've been hearing a lot of great things about Sleek MakeUP, especially about the blushes and eyeshadow palettes. The brand offers high-quality cosmetics at really good prices (less than P600 locally) so it's definitely something to keep an eye out for if you're looking to try something new. Sleek MakeUP doesn't have a brick and mortar store in the Philippines, but you can visit Digital Traincase to see some selections. Anyway! Last December, I was in a violently purple/ plum mood. 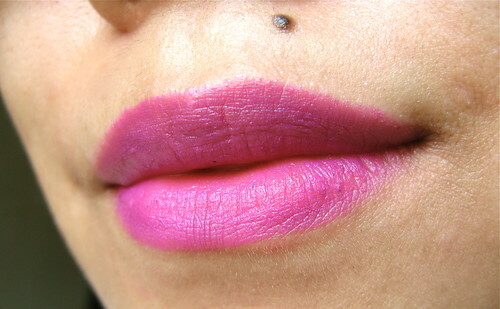 I've been looking for a kickass purple lipstick but couldn't find one that fits my exact specifications. I want the shade to be dark and deep and opaque, but I don't want it to look too goth nor too shockingly bright. Difficult? A little. 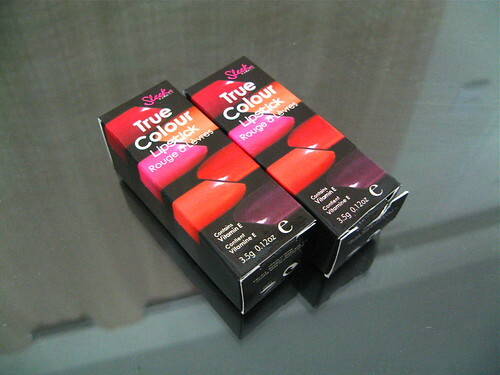 But I found what I needed from DT's new stocks of Sleek True Color Lipstick (P450). Quality-wise, the True Color Lipstick is okay. It won't blow your mind - it is a bit waxy and drying - but it is thin on the lips, has a gorgeous velvet finish, and has a staying/ staining power that will outlive your lunch. You must wear a lip balm underneath to give this product a slinkier, more moisturizing feel though. 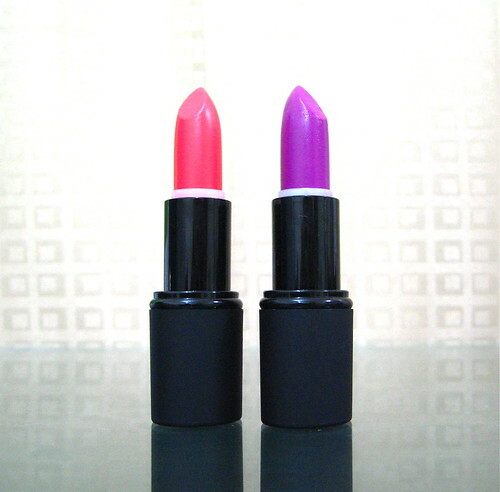 I got Papaya Punch (bright pink orange) and Mystic (matte purple). Papaya Punch is a pretty color that makes the gold in my skin pop out. Mystic, on the other hand, is the real clincher. It's the purple, the exact purple in my dreams. 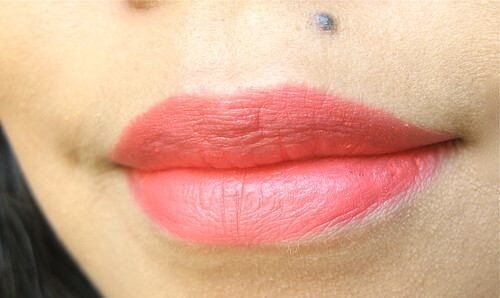 Whenever I wear it, people never fail to ask what my lipstick is! As for packaging, I love the rubber matte tube and the professional-looking box it came in. 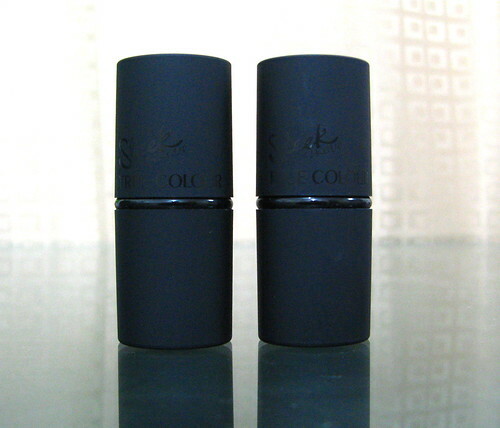 The tubes have an interesting oblong shape, and while they make look way smaller than your average lipstick, the amount you get is the same (3.5 grams). Great stuff overall! 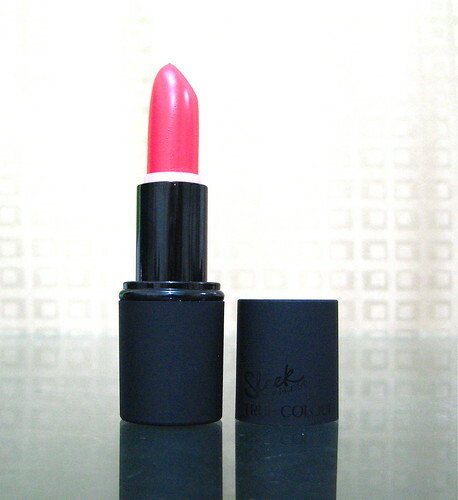 :) Do check out Sleek MakeUP sometime, I think you'll like what you find.